Within each of the recent Computer Viruses series of articles there is consistent advice and recommendations upon preventative actions users may take to protect their systems from infection and attack. Among these is the sensible requirement to have appropriate, valid, antivirus software incorporated. In this article not only will reference be made to some of the more notable suppliers but also to the availability of ‘Cleaner’ software (explanations will be included). However, prior to dealing with these, the matter of erroneously downloaded programmes and the subject of firewalls will be considered. Check the computer/system installed programme list for any that have been installed without their knowledge or authority. If any are located they should be uninstalled. Programme lists may be found via the computer’s control panel or settings or equivalent. There should be a simple ‘uninstall’ option available. After doing the above users should also check browser programmes for any malware installed in them (these will not show in the computer’s own programme list). Where more than one browser has been used, even if only once, ALL should be checked. From the browser menu the user selects the appropriate option: ‘Tools’; ‘Add-ons’; ‘Extensions’ or a combination. In Chrome it is Tools>Extensions. In Firefox it is Add-ons>Extensions. In Safari (Mac) Preferences>Extensions. In Microsoft Edge it is Extensions. Within each there is the facility to uninstall unwanted or erroneous software. As implied by the name, a computer firewall has a similar function to a physical firewall. The one prevents fire spreading from room to room. The other inhibits malware spreading from computer to computer, system to system. There are many aspects to firewalls including the availability of different types. However, as far as the average user is concerned, there is no need to go into a lot of unnecessary, technical detail. Note: Firewalls may be configured within both the software and hardware of a computer. It is the software version under consideration here. In principle a firewall is a software application/programme that protects a computer system from intruders (cyber criminals). Each firewall has a predetermined set of security rules/policies that operate in the background by monitoring traffic to and from the system and are usually capable for recognising whether a site is ‘trusted’ or not. In essence a firewall acts as a barrier between the computer and external activity by controlling and filtering connections (internet and others). Firewalls are normally configured to protect against unauthorised interactive logins which also helps prevent hackers from logging into the computer and are also designed to alert the user to any attempted intrusion. Firewalls will sometimes block a site/link and display an appropriate descriptive message. When confronted with such messages, users should be careful because, as outlined in Computer Viruses – Ransomeware & Scareware, it is possible for these to be a source of malware. These days all devices (computer, tablet, smartphone, etc.) come with built-in firewalls that are turned on by default. These are normally sufficient for the average private user. If someone is building their own computer or system they should ensure a firewall is built-in. Would be very foolhardy and careless not to do so. Users, if they deem it really necessary, may alter the function of firewalls by going to the computers ‘Tools’; ‘Control Panel’; ‘Settings’ or equivalent. However, they should make sure they really do understand what they are doing because an erroneous change could result in the computer/system becoming more vulnerable to attack. For the majority of users, the preinstalled firewall is normally sufficient. Important: Some malware are capable of manipulating firewalls consequently, the presence of a firewall alone is not sufficient. Users should ensure antivirus software is also included in their computer system. Now to the main focus for this article. No matter what software, hardware or anything else, a user has installed with/in their devices the presence of some antivirus software is an essential. Without it the computer/system will be vulnerable to a variety of attacks/infections. Note: What follows is inclined toward Windows computers and systems. (Apple devices (Mac, iPad, iPhone, etc.) tend to have their own effective antivirus software preinstalled though, in most instances, there are versions of the following a user may also utilise for their Apple product, if they wish). There are many antivirus software programmes available and which to choose is very much down to user preference. To help get started here are some of the more well known ones. Norton: Perhaps one of the most well know worldwide. Established in 1991 Norton is probably the one used most by private individuals. McAfee: Again one that many will have heard of. It commenced in 1987 and over the years emerged, through merger and sells into its current existence. McAfee claims to be the world’s largest security technology company. Kaspersky: Perhaps not as well known as the two above though there appears to be increasing awareness of them. It is a Russian company operated by a United Kingdom holding company. It was established in 1997. Panda: A Spanish company, established in 1990, that many may well not have heard of. It does operate worldwide though those living in Spain will undoubtedly be more familiar with them than those living elsewhere. This list is obviously very limited. A search against ‘Antivirus Software’ will bring multiple results enabling users too choose for themselves. Note: One company is NOT being recommended over another: the order they appear in is incidental. As said, the list is just intended to give those reading this article, and who may not have previous knowledge on the subject, somewhere to start. Have a look at what major technology retailers recommend. They are unlikely to chance their reputation by promoting a company that is suspect. There are normally a variety of different packages a user may purchase. Naturally, dependent upon financial constraints, users should opt for the most robust they can afford. Most companies also offer packages specifically tailored for business which come at a premium and really do not need to be considered by private individuals. Whatever the final decision it is imperative all devices have antivirus software packages incorporated. Free: The free option is a good place for the individual user to start and many simply stick with this. The system complements a computers existing antivirus software. Paid: For those looking for a more enhanced system that also covers three devices there is the Premium for Home package. Currently (March 2018) at £49.99 per annum for three devices (£16.66 each) it appears to be very good value. This also replaces existing antivirus software thereby saving the annual fee that would have been payable to the alternative company. Instructions on how to download and use the software (for Windows) may be located within the support section. There are separate instructions for downloading to a Mac. Free and paid options are available. Free: Easy to download and run. Useful for the average user who is simply looking to clear their systems from unwanted files and to improve functionality. Paid: There are two paid options: Professional and Professional Plus. Professional: currently (March 2018) £19.95 includes: Realtime monitoring; Scheduled cleaning; Automatic updates and Premium support. For the individual this would probably be sufficient. Professional Plus: All that is included with the free and professional packages plus disk maintenance; file recovery; etc. Currently (March 2018) £29.95. Note: The CCleaner service does NOT replace antivirus software. It is vital all users ensure valid, up-to-date, antivirus software is installed in all devices utilising the best package they can afford. As with anything new, care should be exercised when choosing a supplier: recommendations from established, trusted, sources may be considered along with proper research. With both antivirus software and browsers, users should ensure they are using the latest versions. Cyber attacks are a daily occurrence meaning technology companies are/have to constantly update their system to deal with them. Using older versions may allow newer malware to get through. ‘Prevention is better than cure.’: Users are recommended to constantly bare in mind the need for care and awareness, especially when encountering a new site or source or downloading something from an unrecognised source. Disclaimer 1: The writer is not a computer programmer or in any other way a computer software expert. What is shared has been learnt through limited personal experience and/or through research. Consequently, though every effort has been made, total accuracy of all the above information cannot be guaranteed. 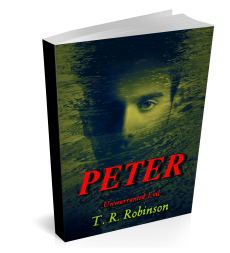 Disclaimer 2: Neither T. R. Robinson Publications nor T. R. Robinson are affiliates of, or have any connection with (other than as a user), any of the companies or suppliers mentioned. The aim has simply been to try and help fellow users (and authors) safeguard their devices. I use Panda and despite being a Spanish company they do have chat help in English, which is a huge plus as far as I am concerned.